The effect of nabilone on appetite, nutritional status, and quality of life in lung cancer patients: a randomized, double-blind clinical trial. “Over one half of the patients diagnosed with advanced lung cancer experience anorexia. In addition to its high incidence, cancer-induced anorexia promotes the development of the anorexia-cachexia syndrome, which is related to poor clinical outcomes. Recently, drugs derived from cannabinoids, such as Nabilone, have been recognized for their appetite improvement properties. This is a randomized, double-blind, placebo-controlled clinical trial to assess the effect of Nabilone vs. placebo on the appetite, nutritional status, and quality of life in patients diagnosed with advanced Non-small cell lung cancer (NSCLC) (NCT02802540). “Nabilone, a synthetic cannabinoid, is approved in many countries including, but not limited to, Canada, the United States, Mexico, and the United Kingdom for the treatment of severe nausea and vomiting associated with chemotherapy. Clinical evidence is emerging for its use in managing pain conditions with different etiologies. We review the efficacy and safety of nabilone for various types of pain as well as its abuse potential, precautions and contraindications, and drug interactions; summarize pertinent clinical practice guidelines; and provide recommendations for dosing, monitoring, and patient education. “Fibromyalgia is a chronic pain condition present in 2-4% of the population. Fibromyalgia consists of widespread pain with similarities to neuropathic pain in clinical findings, pathophysiology, and neuropharmacology. Pain is the predominant symptom and allodynia and hyperalgesia are common signs. Extreme fatigue, impaired cognition and nonrestorative sleep difficulties coexist in addition to other somatic symptoms. Research including neuroimaging investigations shows abnormalities in neurotransmitters and an abnormal response to pain. Altered pain processing peripherally and centrally contribute to central sensitization and a dampened effect of the diffuse noxious inhibitory control (DNIC). Successful management incorporates education of the patient in self-management skills, cognitive behavioral therapy (CBT), exercise, and drug therapy. Tricyclic antidepressants, serotonin-norepinephrine reuptake inhibitors (SNRIs) (duloxetine and milnacipran), α2-δ ligands (gabapentin and pregabalin) are effective in reducing pain by≥30%. Some success has been shown with dopamine agonists (pramipexole), tramadol, other opioids and cannabinoids(nabilone). [Marihuana and cannabinoids as medicaments]. “Biological activity of cannabinoids is caused by binding to two cannabinoid receptors CB1 and CB2. Psychoactive is not only tetrahydrocannabinol (THC) but also: cannabidiol, cannabigerol or cannabichromen. Formerly, the usefulness of hemp was assessed in the relation to temporary appeasement of the symptoms of some ailments as nausea or vomiting. Present discoveries indicates that cannabis-based drugs has shown ability to alleviate of autoimmunological disorders such as: Multiple sclerosis (MS), Rheumatoid arthritis (RA) or inflammatory bowel disease. Another studies indicates that cannabinoids play role in treatment of neurological disorders like Alzheimer disease or Amyotrophic lateral sclerosis (ALS) or even can reduce spreading of tumor cells. Cannabinoids stand out high safety profile considering acute toxicity, it is low possibility of deadly overdosing and side-effects are comprise in range of tolerated side-effects of other medications. In some countries marinol and nabilone are used as anti vomiting and nausea drug. First cannabis-based drug containg naturally occurring cannabinoids is Sativex. Sativex is delivered in an mucosal spray for patients suffering from spasticity in MS, pain relevant with cancer and neuropathic pain of various origin. Despite the relatively low acute toxicity of cannabinoids they should be avoid in patients with psychotic disorders, pregnant or breastfeeding woman. Cannabinoids prolong a time of reaction and decrease power of concentration that’s why driving any vehicles is forbidden. [Benefits of an add-on treatment with the synthetic cannabinomimetic nabilone on patients with chronic pain–a randomized controlled trial]. 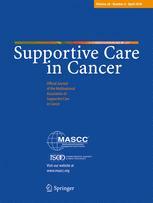 Adjunctive nabilone in cancer pain and symptom management: a prospective observational study using propensity scoring.